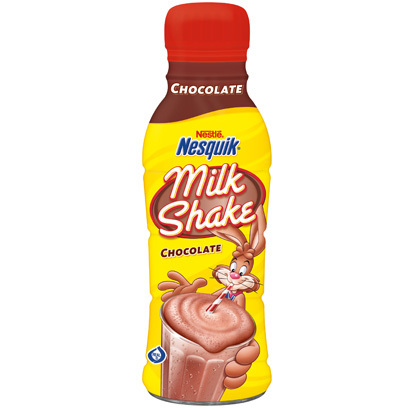 NESQUIK Ready-To-Drink products offer a convenient way to enjoy the delicious taste of flavored milk while on-the-go. These low-fat, calcium-fortified drinks come in a variety of classic flavors in a resealable bottle, making it the perfect way to drink milk wherever you are, while staying happy and healthy. NESQUIK Ready-To-Drink flavors include: Chocolate, Chocolate Milkshake, Double Chocolate, Strawberry, Strawberry Milkshake, Banana Strawberry and Vanilla.